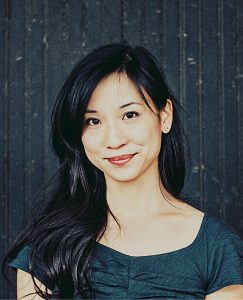 Local author Lydia Kang has three new books out this year. Her adult fiction debut, “A Beautiful Poison” came out in August 2017, her first nonfiction title, “Quackery” is out October 2017 and “The November Girl,” a new young adult title will hit shelves in November 2017. Kang discussed her new books, writing across genres, and the intersection of her writing and work as a physician. Your first nonfiction book, “Quackery: A Brief History of the Worst Ways to Cure Everything” is coming in October. Tell us about it. My co-author Nate Pedersen and I thought it would be really fascinating to write a book that explored all the different methods that people have used to cure themselves. We talk about leeches and bloodletting, mercury and arsenic, among many other subjects. Part of the fascination of these subjects was the fact that today, we as a society tend to be so fearful of all things toxic. It was really interesting to play that fear against the knowledge that we once knowingly and eagerly ingested items like radioactive water and strychnine. We’re obsessed with what constitutes the best and healthiest foods for our children, and yet narcotic elixirs to keep children “soothed” was commonplace. We search for the best doctor reviews online, and yet they once scoffed at “bacteria” and pre-surgical hand washing as newfangled ridiculousness. Readers will be shocked yet entertained at the history in these pages. We do spend time talking about official quackery—bogus treatments offered by snake oil salesmen to make a buck off of people’s desperation, but also explore the history and current iterations of many of the weirdest and wackiest treatments in history. “Beautiful Poison,” your adult fiction debut was released in August 2017. It’s also your first book that takes place in a historical setting. Did you learn anything new about writing while focusing on a new audience and genre? I found that there was a level of familiarity with the time period that I needed before I could even plot the novel or write a single world. I cannot write disoriented, so-to-speak. So, I read many non-fiction texts, diaries, letters, studied maps, figured out what everyone ate, what things costed, how telephones were used, what the public transportation was like, how people dressed, spoke, and of course what the timelines of the war and influenza epidemic were. I pored over photographic archives and the New York Times from the year. All in all, it was very much humbling, a little terrifying (I was so afraid to get anything historically inaccurate), and exhilarating. As far as writing for an adult audience, I actually hadn’t intended to write for an adult audience—it had started out as a young adult novel, but the voice, prose, and issues in the book declared themselves as adult. Sometimes, the book chooses the audience for you! In addition to being an author you are also a practicing physician. How do these two parts of your life inform each other? I used to separate these two halves of my working life, but found that there was a lovely symbiosis between them. Writing helps reduce burnout (a serious problem among physicians), and doctoring grounds me when my publishing life gets chaotic. In addition, many of my books contain aspects of the scientific parts of my brain. I enjoy chemistry, biology, and medicine, and these subjects appear in many of my books. I often give medical advice to my author friends who need a “consultation” on situations in their books. What’s the best book you’ve read recently that you would recommend to others? “The Signature of All Things” by Elizabeth Gilbert. I melted into that book. This fall you have two books out, you’re presenting at TEDx Omaha and promoting your new books. What excites you most? I am really excited about all three books! I can’t say I love one more than the other. “The November Girl” (my young adult book, out November 7th) is a contemporary, literary fantasy that takes place on Isle Royale on Lake Superior. I actually went there and it was breathtaking. I imagined Anda, a girl with the power to sink ships, and Hector, the boy running away from his violent past, walking on the trails on that gorgeous island. “Quackery” is such a different turn for me, as it’s my first non-fiction, and was both funny and eye-opening to write. Nate and I are looking forward to introducing readers to some of the facts of our medical history that are almost too bananas to believe. And finally, “A Beautiful Poison” has another special place in my heart, because many of the scenes take place at Bellevue Hospital in NYC, the very hospital I studied in for medical school and took care of my first patients, in residency. I’m so proud of all three, and so happy to have had enthusiastic and supportive publishers for all. And I can’t wait for readers to read them!